Our team of professionals offers installation and maintenance of the best gutters for customers in Concord. The gutter system on any building serves a very important purpose: to provide adequate drainage and prevent water damage. When it rains or snows, water tends to pool on your roof, and it can seep through the roofing materials if you don’t have a proper gutter system. Gutters work by sloping downward and away from the house, allowing gravity to pull the water off the roof and into a more appropriate place. 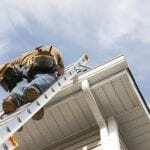 Some of the warning signs that your gutters aren’t working properly include wet spots or big puddles on your roof, rust or dirty patches on the undersides, moldy spots on the exterior of your home, and peeling paint on the outside walls. 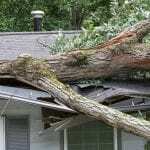 If your gutters aren’t working correctly, you may be getting frustrated with the constant need for repairs and service. Instead of continuing to put money into a gutter system that doesn’t work, call us at JM Reynolds Builders, LLC to learn more about the best gutters in the industry. We offer solutions for property owners that look great while providing sufficient drainage to protect your home. At JM Reynolds Builders, LLC, our team of professionals offers installation and maintenance of the best gutters for customers in Concord North Carolina. We believe the best gutters embody seamless styles, which fit perfectly with your home’s structure while serving a functional purpose. Seamless gutters are also less likely to rust and clog, making them a top choice among homeowners who don’t want to spend a lot of time on maintenance and repairs. At JM Reynolds Builders, LLC, we install the best gutters in Concord, Kannapolis, Charlotte, Salisbury, Mooresville, Huntersville, Granite, Quarry, Davidson, and Paw Creek, North Carolina.